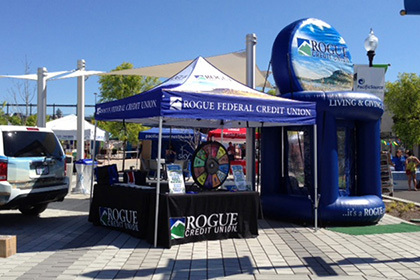 The pairing of an inflatable money machine and a local credit union is as natural as can be. Add to that, however, a few live events and you get a recipe for visibility and excitement that is hard to beat. 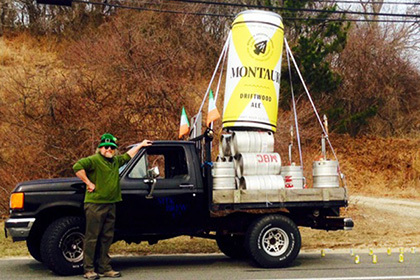 We really get a kick out of all the different themed road races we’ve seen lately. It seems to be a new trend that (hopefully) will continue. The Running Zone Foundation thought of a clever twist: take the race back in time. 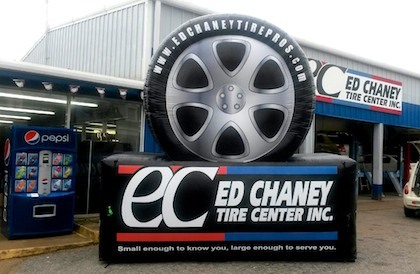 As an inflatables manufacturer founded in 1986, we’ve created our fair share of sports tunnels. The typical scenario is that the administration, sports staff or booster club of a high school or college will contact us and place an order. However, there is the rare occasion where someone outside the school system steps up to help out. 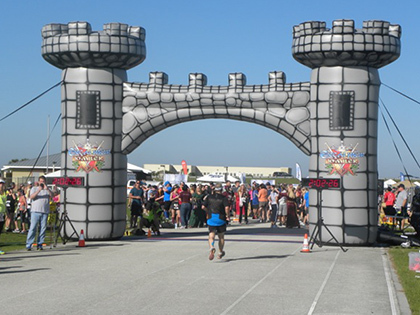 What do you get when you cross an inflatable archway and a sports tunnel? An impressive-looking creation that gives you twice the usage of either one alone. 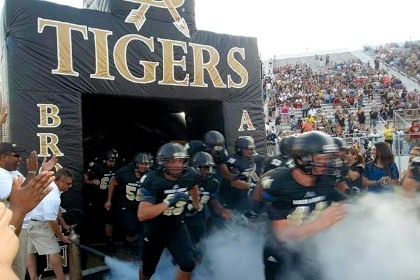 Broken Arrow High School discovered this unique hybrid inflatable when they ordered their black and gold sports tunnel with a detachable arch/wall. 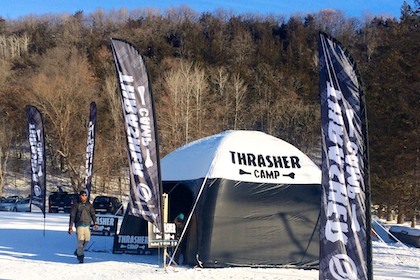 When Vision Elite Sports and Thrasher Camp President, Paul Miller opted to purchase an inflatable dome, it was originally to serve as a basecamp for events. However, Paul quickly discovered that these multifunctional tents pull double (and even triple) duty. 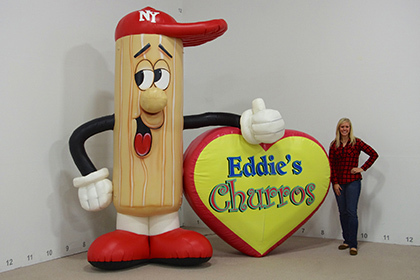 Inflatables used to market a food truck? Granted, it’s not typical, but perhaps Eddie Garcia of Eddie’s Churro Factory has started a new trend. 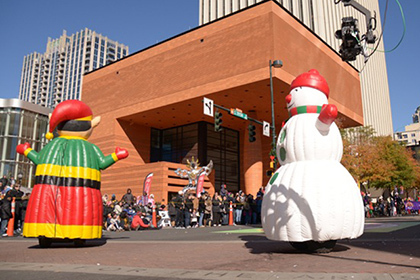 After all, inflatable characters have already proven themselves to be powerhouses when it comes to stopping people in their tracks. Add to that the simplicity of setup and takedown and the inflatable mascot/food truck pairing is really a natural. When the blue and white take the field, they will make a powerful statement bursting through the facemask of their new inflatable football tunnel. 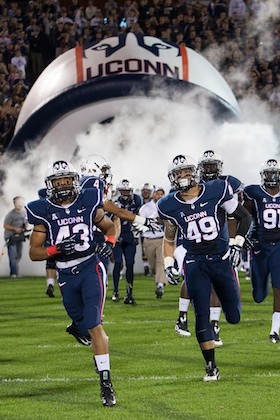 With the redesign of the team’s helmets, UCONN Athletics wanted to crank up their rebranding efforts by adding a sports tunnel that mirrored the new gear. In 2013, there was a fierce competition between NFL teams that had nothing to do with football. 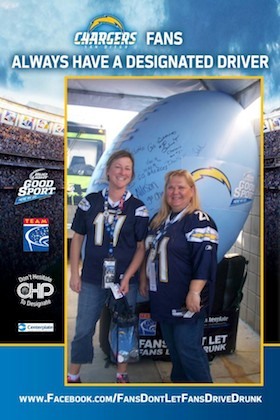 TEAM Coalition (working with Bud Light®) created the Bud Light Good Sport Designated Driver Challenge designed to promote responsible drinking and positive fan behavior at sports and entertainment facilities. School spirit runs wild at Broken Arrow High School even before fans enter the stadium. 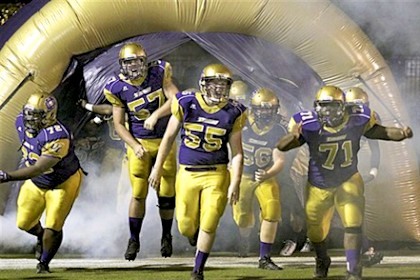 That’s because the Tigers use an inflatable dual archway branded with their school logo. 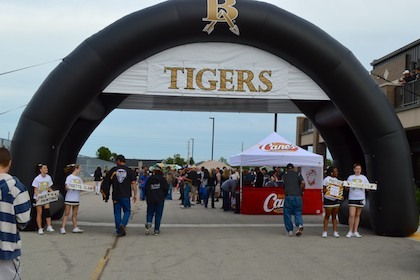 Marketing the tailgate area during football season and directing attendees to the entrance of school-sponsored events are just two of the many uses Broken Arrow High has found for its arch. Why do people run? Common reasons for this type of exercise include health and fitness benefits, to boost energy levels, to relieve stress and – yes – so people can eat more of the foods they love without feeling guilty. 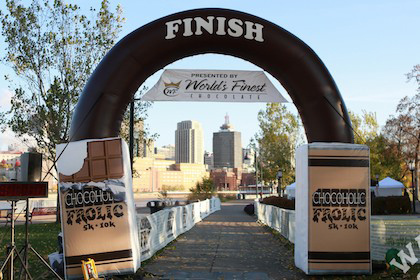 Final Stretch, an endurance sports company that puts on road races, triathlons and marathons throughout the Midwest, came up with a very clever twist on your typical race. Make chocolate the focus. 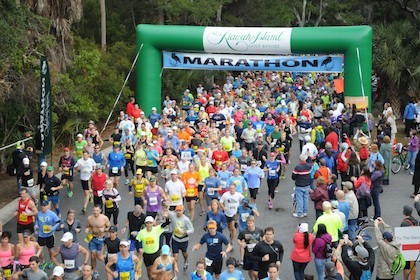 When it comes to races, where are the number one and number two spots for photo opportunities? The start line and finish line without question. If you plan to take advantage of the free exposure social media and the Internet offer, shouldn’t your start/finish line look awesome and be fully branded? We think so and Paul Shockley, Recreation Program Manager for Kiawah Island Golf Resort, agrees. When the weather is nice and the sun is shining, visitors to the Mile High Flea Market in Denver, Colorado, are greeted by Freddy the Flea. 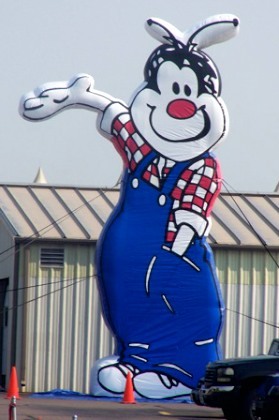 This inflatable mascot (turned billboard) stands 30-feet tall and definitely does his job at creating awareness and driving traffic to the 80-acre marketplace.